"Welcome to the real world." These comments are often asked to welcome the presence of new colleagues who are fresh graduates or beginners. The world of work is challenging. Having succeeded in "outsmarting" other job seekers, it does not mean that a novice worker can enjoy his success. He still has to strategize and adapt to his new job, and equally important is to set up a strategy for investing (making good financial planning for the future). Planning the future for someone is certainly not separated from financial planning, where the need for a good planning system for the needs of life in the future can be passed well. "Hence, financial planning should be from young like a young fund, and the most ideal is to plan pension funds," said Financial Planner, Aidil Akbar, as reported by Sindonews.com. According to Aidil, it took at least 10 to 15 years, as an ideal timeframe for preparing the pension fund. "The cost of living is increasingly expensive, what more young people want whatever the salary would run out, so if we have a good plan it will be systematic with investment," he explained. Meanwhile, Aidil recommends that after receiving a salary, a person should at least set aside 30 percent for productive debt. Aidil's productive debt is like House Ownership Loan (KPR) or property business, where the value of its assets is always increasing so it is expected to increase business capital in the future. "Well, for the rest of 70 percent can be used by 50 percent for living expenses and 20 percent for insurance, because do not let us work too tired, it does not have protection," he concluded. Indonesia is included in the ranks of countries with the largest population in the world. No wonder if the number of labor force was fairly large. Central Bureau of Statistics (BPS) notes that there is improvement in terms of employment in the country. BPS data said the number of labor force in February 2013 has reached 121.2 million people or increased 780 thousand people compared with February last year. In contrast, the unemployment rate has decreased by as many as 440 thousand people. The above data shows the positive thing that large workforce signifies the more productive age involved in advancing the country. However, on the other hand, this good news has not been matched by the awareness of novice workers to have an investment for a better future. Many are put off by reason of not finding effective ways of investing. Insurance can be one wise, appropriate and attractive choice to start investing a novice worker in Indonesia. Because insurance can replace one's economic value while having protection plus investment. Moreover, according to data from the Association of Indonesian Life Insurance (AAJI) , the total number of national life insured in the second quarter of 2013 experienced a significant growth of 54.55%. So, arguably, this year is the ideal momentum to take insurance. Especially if the insurance is purchased when a young worker beginner young. This is because in addition to the premium is still relatively cheap, insurance will provide maximum benefits not only for policyholders, but also to their loved ones. However, as a novice worker, it is only natural that you encounter barriers to starting insurance, because of a lack of understanding of insurance benefits. Look at your needs and know the amount of funds you can invest in insurance. 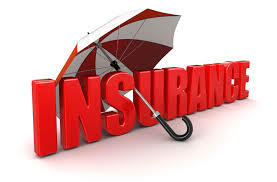 Knowing the background of the desired insurance company, whether the financial strength of the insurance company and of course insurance companies must be reliable. Good insurance also if the advisors are reliable, trustworthy and have an official license from AAJI. Inevitably, insurance becomes a very important thing in the planning of one's life. Having insurance as early as possible, when someone starts up the work world, it is highly recommended because the premium is lower. Choose an insurance program based on life stages and financial capabilities that certainly evolves with career development and finance.